What if you could achieve the things you’ve dreamed of your entire life? What’s stopping you from doing so? Have you developed limiting beliefs that have caused you to feel that you’ve hit a plateau or are incapable of success? Christina “Chris” Marcano Medina was no stranger to these feelings of doubt and uncertainty before she attended Unleash the Power Within. Chris is a businesswoman based in Florida. She’s a successful entrepreneur who heads the Latino Market Business Development efforts for her company. In addition to being a driven career woman, she works tirelessly to represent the Latino community and also leads the efforts of a women’s group in her area. If this sounds like a lot of work, that’s because it is. Despite being incredibly involved in her community and throwing herself into her business, Chris still felt like she was stuck in a rut. 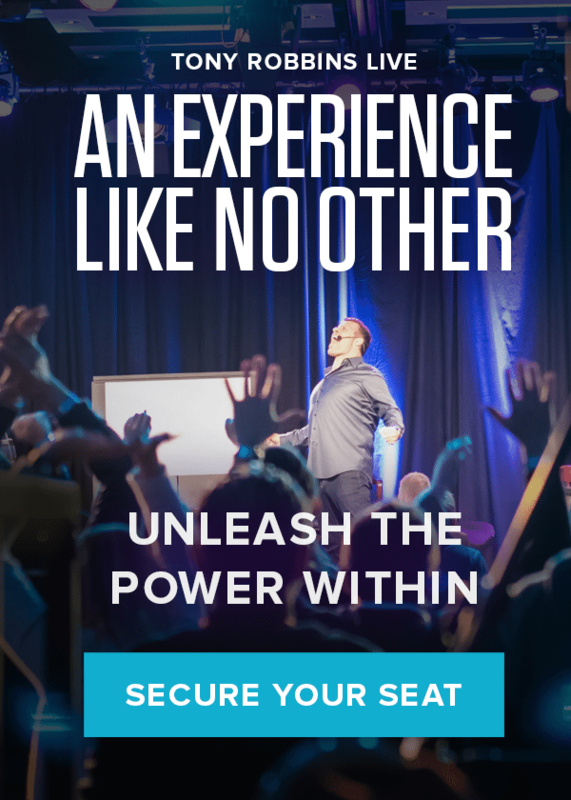 When a friend recommended she check out a Tony Robbins event, Unleash the Power Within, near her hometown, she was initially unsure if she could make the time to go. Chris didn’t think her business would be able to operate without her in the office for a few days. But then she had a realization — if the business couldn’t efficiently run without her on site each and every day, was it functional? Chris realized that her business was running her, instead of the other way around. This confirmed that she needed to attend UPW to not only further her leadership skills, but to propel herself and her company to the next level. Even after deciding to attend Unleash the Power Within, Chris wasn’t exactly sure what she was getting herself into. She wasn’t familiar with Tony Robbins, but she knew she needed to change her life. She attended the event alongside her husband and walked in on the very first day with an open mind. Chris recognized that by listening to a powerful speaker like Tony, who has already experienced all the major growing pains that come with running a successful brand, she could learn powerful techniques that she could then bring back to her business. She also hoped to further her personal growth. At UPW, Chris realized one of her major limiting beliefs was about not feeling good enough despite the tremendous amounts of success she had already experienced. When Tony Robbins got on stage and began discussing limiting beliefs, and how people often tell themselves that they’re not good enough, Chris learned it’s often because people are afraid. And she was afraid, too. Afraid of trying and failing. Afraid of being laughed at. Afraid of not having the approval of others. But she realized that giving into that negative voice wouldn’t help her reach her goals — she had to start making progress. There is never going to be a perfect time to start working toward your goals. There’s only the present. Chris learned that it’s all right to feel unhappy with the status quo when you’re working toward a goal, because that means you still have a hunger inside of yourself that’s fueling you forward. Instead of noticing the gap between the status quo and where she hoped to be in the future and feeling badly about that disparity, Chris learned constructive ways to deal with her emotions. Instead of saying “I can’t do this,” she started saying, “What can I do to change this?” She learned that she doesn’t have to be perfect — she just has to make progress. Lots of goals can take a long time to achieve, but by working toward them daily and using the tools presented at UPW, anything’s possible. Ready to experience the event that will change your life? Start living your passion by signing up for Unleash the Power Within today.